Tegan and Sara has dropped another new song, premiering "Stop Desire" today on Zane Lowe's Beats 1 show. It's their fourth song that they've released off their upcoming album Love You to Death. They've since released "Boyfriend," "U-Turn" and "100x". Tegan and Sara gave Los Angeles fans a special preview of their new music earlier this week, debuting tracks "100x" and "Stop Desire" at The Roxy and Teragram Ballroom. They will next play New York City's Le Poisson Rouge on May 9 before performing on The Tonight Show Starring Jimmy Fallon on May 10. 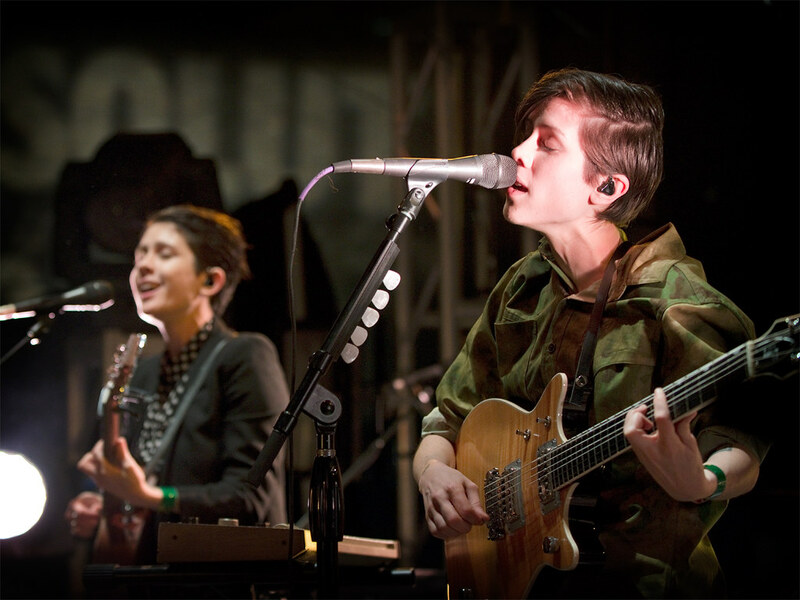 These performances precede Tegan and Sara's international tour dates and their recently announced 41-date North American headlining tour.